John Cornelius Gunter was born at Scone in 1872, the son of Henry James Gunter and Mary Jane Cundy. His trade was as labourer prior to enlistment. After the ranks of the NSW Citizen's Bushmen Contingent were closed, eager men from the rural areas wanted to enlist. Gunter formed part of a group of 48 men who arrived in Sydney on Saturday, 31 March 1900. 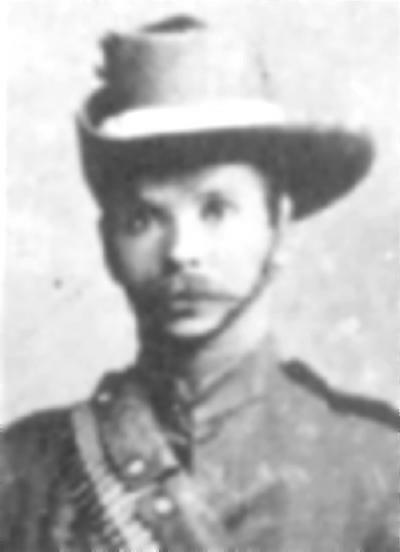 After a medical, Gunter and 45 other men were accepted into the NSW Imperial Bushmen as 363 Private John Cornelius Gunter on Monday, 2 April 1900 and allotted to "A" Squadron. The progress of the NSWIB is availble on through the War Diary, Boer War - NSWIB . Allottment of John Cornelius Gunter to "A" Squadron. After the completion of his service Gunter was awarded the Queen's South African Medal with five bars, they being; Rhodesia, Orange Free State, Cape Colony, Transvaal and the South Africa 1901 bar. After moving to Nundle he married Annie Swan on 24 September 1902. Annie being the third child of William and Sarah Swan (Nee Howarth) who was born on 3 April 1884. 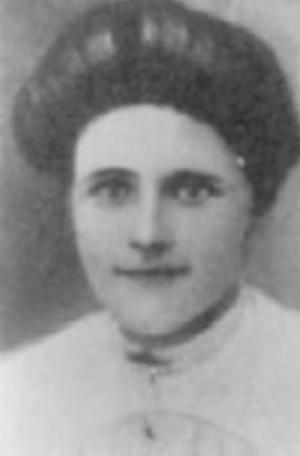 While her early life was spent on the family property at Palmers Gully, she received her education at Nundle Public School. Three children were born soon after, they being Mary E, 1903; Vera LE, 1905; and, William E, 1906. In 1916, while living at Nundle, just south of Tamworth in NSW, Gunter applied to serve with the local Militia but it appears as though he was not accepted. After settling in the Nundle district, John Cornelius Gunter worked as a shearer as well as for Mr james Schofield for many years. John Cornelius was also known in the district as an accomplished horseman. 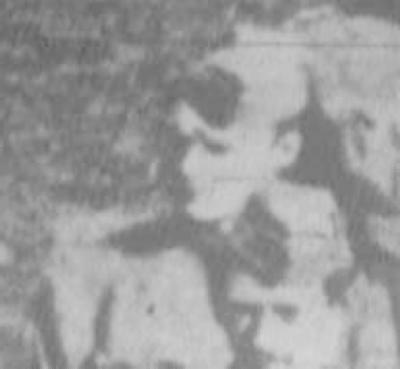 John Cornelius Gunter passed away on 1 August 1956, aged 85 years and his wife Annie at Swamp Oak on 5 June 1920, aged 36 years. Transcribed from a copy handwritten by Sara Leora Mavis Whitaker (Graham) Her mother Elizabeth Maude Graham (Dunbar) was the daughter of Samuel Dunbar and Mary Jane Cundy and a half sister to the Jack Gunter named in the poem. [Mary Jane Cundy was the mother of John Cornelius Gunter, ed.] All spelling, punctuation, indentations and spacing have been kept the same as the handwritten copy. But the latter’s very rare. And don’t kick up a fuss. Would make the “bushie” sad. To keep a man awake. Should have to go on guard. Would make a parson curse. While sitting on the ground. To see you all again. 1. 88 Private William Riddell, "A" Squadron, NSWIB. Born in 1863, at Allfordshire, England. Apart from service in the NSWIB, he served with the 2nd Scottish Horse in South Africa. At the cessation of hostilities, Riddell was awarded the Queen's South African Medal with four bars, they being; Rhodesia, Orange Free State, Cape Colony, and Transvaal. In addition he was awarded the King's South African Medal with two bars. 2. 64 Lance-Corporal William John McKenny, "A" Squadron, NSWIB. McKenny was born in 1868, Bathurst, NSW. He was a farrier by trade. At the conclusion of the Boer War, McKenny was awarded the Queen's South African Medal with the South Africa 1901 bar. 3. The author. Since a section had four men and three are mentioned by name in this poem, the fourth must have been the poet. For whatever reason, the poet has not put his name to this work and so at the moment must remain as unknown. We know he was a bushie, a private and a friend of the other three men as well as a dab hand with the pen. Perhaps some kind soul can identify this man. Acknowledgements: Many thanks go to Joy Whitaker for kindly giving permission to reproduce the poem Bully Beef and Biscuits and Brian Gunter for making it available for publication on the Australian Light Horse Studies Centre blog. Thomas A. McClelland, Treasured Memories and Gold Pioneers - Memories of a golden era Part Two, Tamworth, 1994.